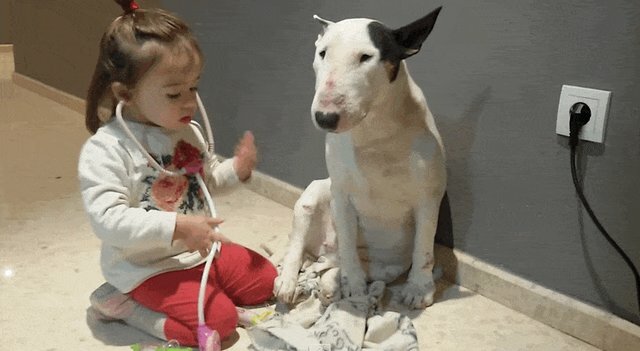 This kid's got "future veterinarian" written all over her: Manuel Ruiz caught this sweet video of his daughter Noa giving the family's bull terrier Neckar a super cute check-up. 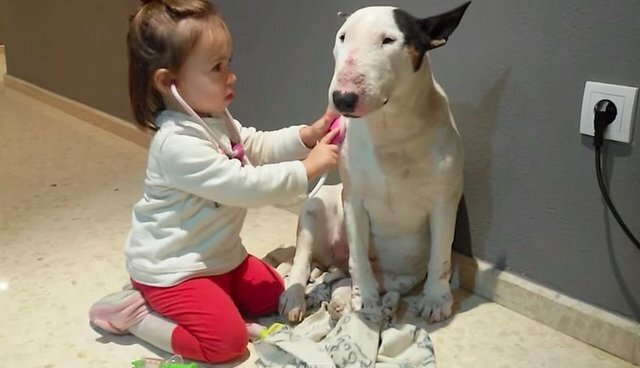 She started by giving Neckar his vaccination, like any responsible vet would. 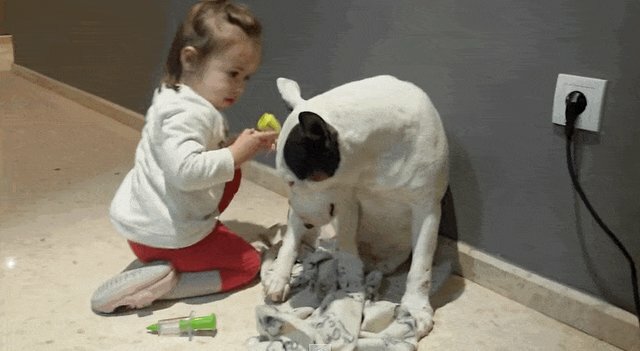 Then she checked his ears, for ... something. And she finished up by using her plastic stethoscope on him. 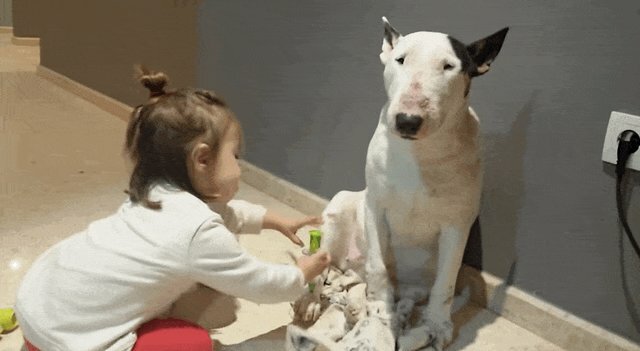 Through it all, Neckar was the most patient patient a little vet could hope for.